Nice, and yes, i’d say the whole season of fall is creepy, so you could extend the halloween dresses into November. Hey!!! Just post what you have. Sunday is the deadline for October. No trick when we’ve been waiting for a treat. You are posting a dead bride gown for goodness sake. Torture! Whatever time you like can be creepy! 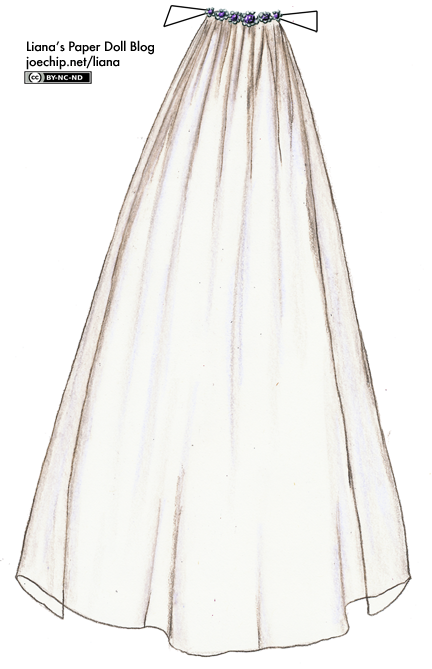 Your dresses make it creepy… I like this one! Maybe something for my wedding? Hmmm…. Maybe not, but it would be cool. The ring of blood near the hem is a nice touch. As is the whole raggedy getup. Makes you wonder how exactly this girl died. OMG! Its amazing, it reminds me of Lucy in the Opera Lucia de Lamermoor, wich is about a tragedy on a wedding. OMG! Its amazing, it reminds me of Lucy from the opera “Lucia de Lammermoor” wich is about a tragedy on a wedding. 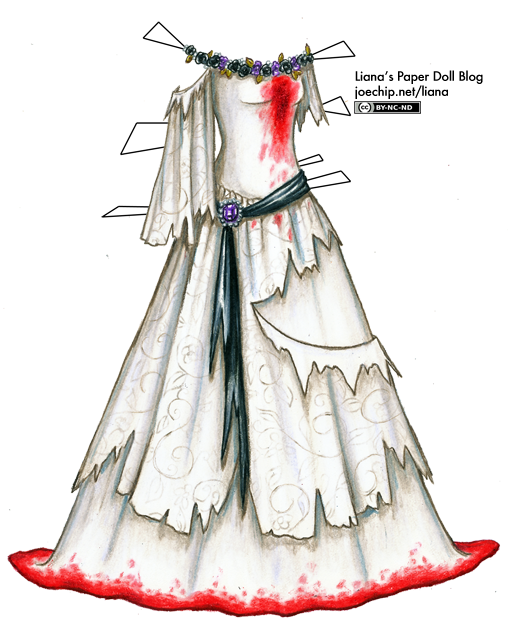 Wahaha, another lovely bloody gown!! I love the soft pattern on the skirt and sleeve, and the tear in the skirt looks perfect! Geez, Liana!!!! You post THIS dress and now you’re making me WAIT for the story?!? TORTURE!!!!!!!!!!!! Just kidding! I can’t wait! I actually think the blood makes it even more awesome. I keep trying to imagine it without he blood and it just isn’t clicking. Great job Liana!!!!! I think I’m in love with this dress. Perhaps that says something worrying about me… hmmm…. Why does it say temporary? what about the masquerade!? please incorporate those!! yes, I am curious about the remaining masquerade gowns! you made us anticipate for a real treat with that dragon one! Perhaps the bride was left at the altar, and her heart truly broke, and she stood there as the blood pooled at her feet, waiting, certain HE would come….PLEASE give us a story–an Sue is absolutely right- your pictures and stories are gifts–Thank you. am i ghoulish if i say i wanted to see more blood??? i love the matching flowers on the crown of the veil.